Middle school students desperately need mentors, yet the model of 30 minutes during the school day that works great in elementary school isn't effective for middle school. The schools have a great need for being able to notify another caring adult willing to reach out via text or a phone call to a student who may be having a bad day, or even a great day. The principal and counselor of FMS, along with myself and FSSD Student Support Services are designing a small pilot that allows mentors to stay connected to students and families without having a weekly meeting during the day. We're still working on logistics, but the goal is to intentionally match mentors and students, with the first meeting at school. After that, the mentor, student, counselor, and parents will stay in communication via text and phone, with the school counselor being the primary contact. This opportunity is perfect for college students or working adults who want to connect with an older student. Barnes and Noble has a great fundraising and marketing opportunity that donates proceeds to Image Builders and also provides in-store marketing and mentor recruiting opportunities. We can schedule a book fair anytime, although holidays are ideal. If you're able to spend 2 hours on a Saturday wrapping presents at the Cool Springs Barnes and Noble store, or if you're interested in helping me promote the book fair through social media, please let me know your availability so I can schedule something between Black Friday and Christmas before these ideal dates are taken. 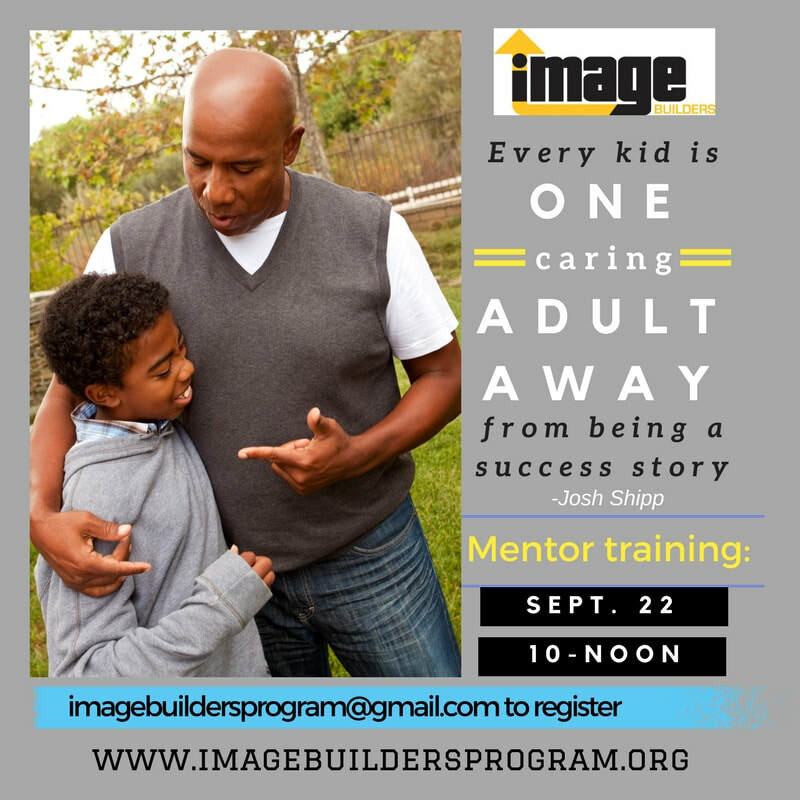 FHA and Image Builders are working together on a pilot program that will provide mentoring for children with parents in Self-Sufficiency classes. The FSS program is designed to prepare residents (through escrow accounts, financial literacy, and other life skills) to move out of public housing and become self-sufficient. 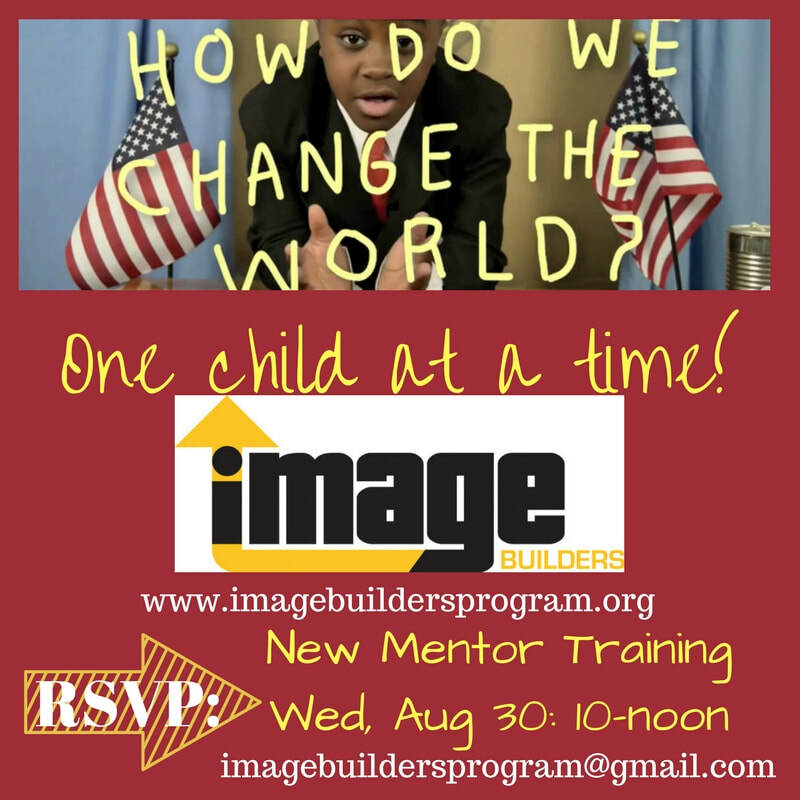 We will need mentors for all ages and will have opportunities during school and after school. We are also discussing an early childhood/ preschool pilot that will allow us to mentor two generations at once, using either a teens and toddlers model or a parent and child model. This is a perfect opportunity for a church group or business group to work together during non-school hours. I'm working with a couple of churches in the area interested in "adopting" a local school and coordinating ways to support the students, teachers and families of that school. Specifically, this can include recruiting mentors and running their background checks, collecting school supplies, coordinating mentor schedules, and providing teacher breakfasts. Ideally, every school in FSSD and WCS could be adopted, and we can be a positive encouragement to public school teachers, staff and students.